If you are a woman on social media, you’ve probably noticed that essential oils are a huge trend right now. Whatever your ailment, there seems to be an oil for that. It’s no different for pregnant women and new moms; essential oils are being recommended to start labour and cure everything from teething pain to childhood anxiety. Who is making these claims and what recommendations are safe for pregnancy, nursing and babies? I decided to do some investigating and discover if there’s truth behind the hype and what I initially found was a bit shocking. For example, according to some studies eucalyptus oil is not recommended for use around babies in diffusers, or in any dilution, because it can cause respiratory issues. Some case studies have also shown that diffusing some oils can cause seizures. And sadly, lavender is not recommended for use around newborns, either. I contacted Maria Fiordalisi, a certified aromatherapist, to find out more information about the safe use of essential oils. Maria’s interest in essential oils began ten years ago when she started making her own deodorant. Today she makes small-batch and custom essential oil blends, skincare, haircare, bath and body products for her loyal clients. Maria also stresses the importance of very low dilutions through all stages of pregnancy. She also says that people frequently diffuse oils for periods of time that are far too lengthy, so guidance from a qualified aromatherapist or midwife during pregnancy and after birth is highly recommended. Essential oils are absorbed into the body and professionals assume that the constituents of essential oils can cross the placenta; as does food, water, oxygen and drugs. The aim is to minimize any effect on the embryo or fetus and blend at the minimal dose that will relieve the mother’s symptoms. Essential oils should always be diluted in a carrier oil and are not to be applied neat (undiluted) to any part of the body. You should never ingest essential oils or apply essential oils to the rectal or vaginal areas. Care should also be used while breastfeeding. All products should be of the highest and purest quality. To ensure this, Maria says that she uses the purest and best quality oils; she only buys from distributors who provide consumers with oils tested with Gas Chromatography/Mass Spectrometry (GC/MS) for every batch purchased. This is important because quality and content can vary from batch to batch. When you are dealing with natural plants, there is no such thing as a completely uniform product from batch to batch so quality control is important. “The breakdown of the chemical components is essential to me when blending for my clients because the safety and therapeutic benefits are dependent by the chemical makeup. I blend by therapeutic property rather than by essential oil,” says Maria. 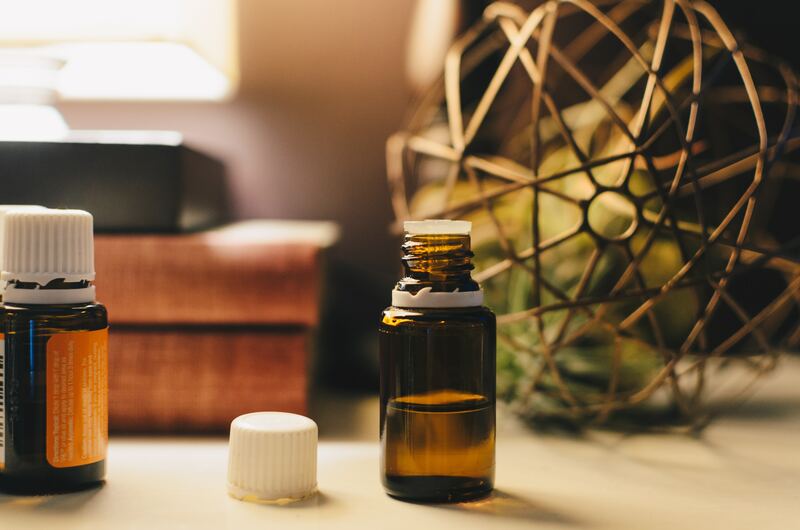 When choosing essential oil products for your own family, it’s buyer beware; but speaking with a certified aromatherapist is a good first step in ensuring that the products you are purchasing are safe for you and your precious children. Thanks for posting this insightful article. I’m a long time but I’ve never been urged to leave a remark. I’ve subscribed to your blog and linked this to my Facebook.